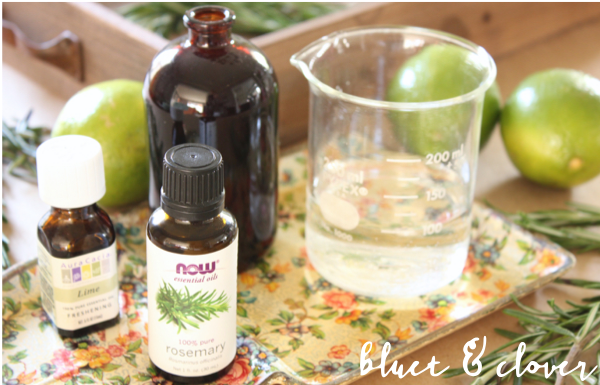 I love the smell of essential oils, so what better way to spread the love than by making a room spray with the stuff? 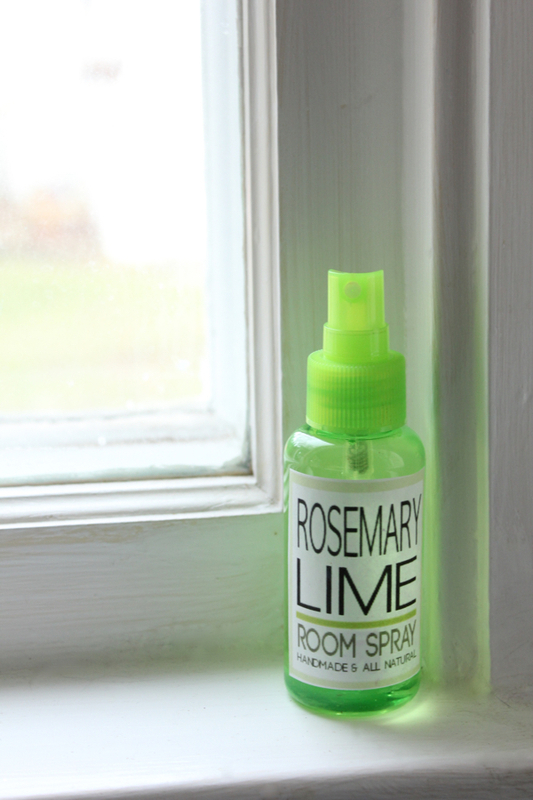 This Rosemary Lime Room Spray smells clean and refreshing. And it's super easy to make. You only need 4 ingredients. 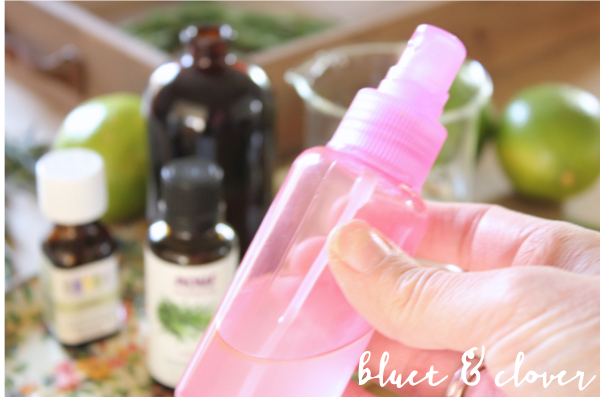 Once I realized how simple it is to make room sprays, I gave up trying to find the right store-bought scents. There's nothing worse than realizing after it's too late that the spray you thought smelled so good at the store is really nauseating when spritzed all over your home. It seemed to happen to me more often than not. 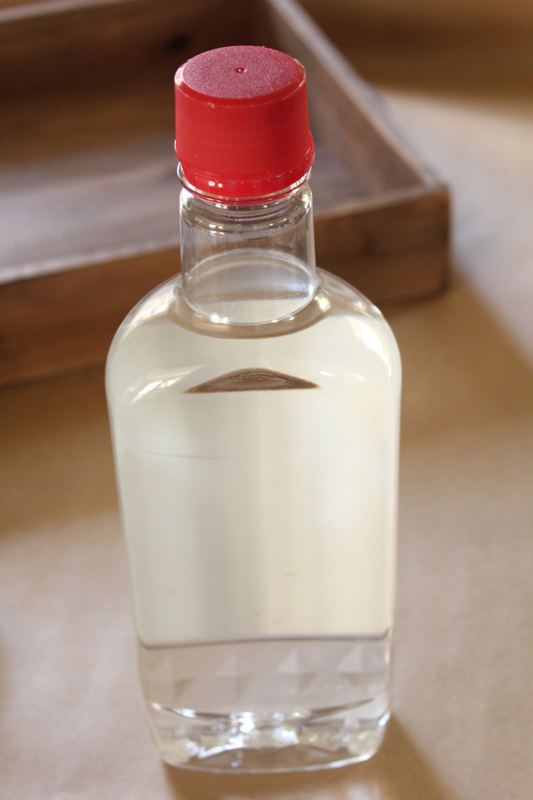 Now what's a bottle of vodka doing in this post about room spray, you ask? Keep reading! 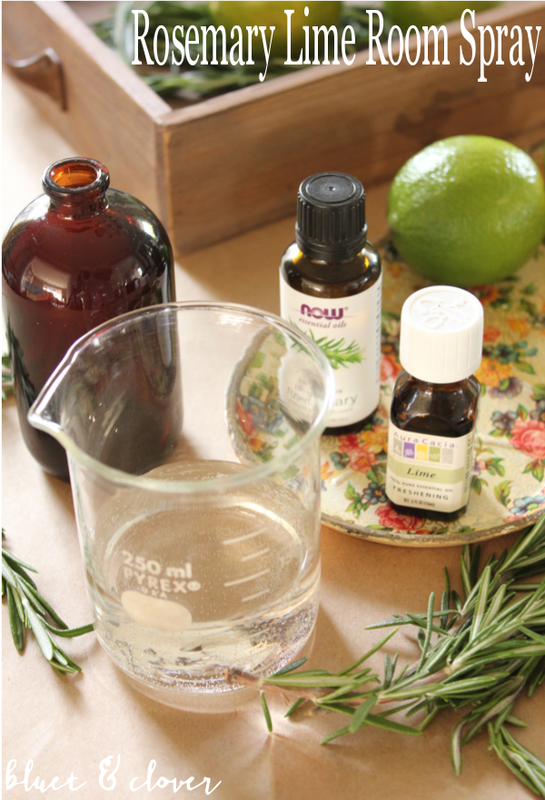 Pour ingredients into a small spray bottle and give it a nice shake. And here's a little label you can print out and glue to your bottle to make it look all fancy. 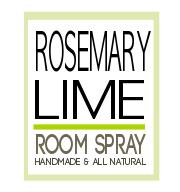 I'm telling you, it's hard to go wrong scenting room spray with essential oils. I promise, you won't be disappointed.